If you’re looking to create stunning and memorable dining events, then you need to make your tables look super-special. 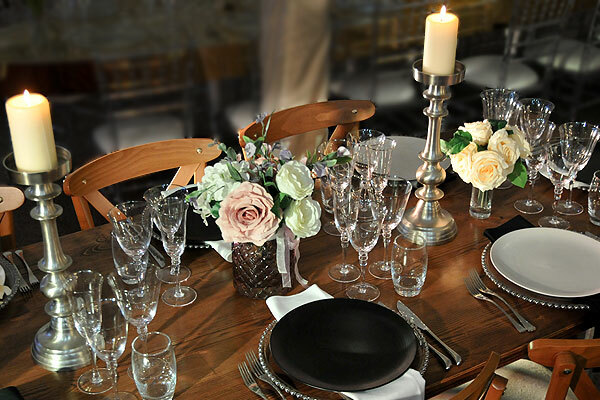 Here at Event Hire UK we offer a range of luxury products which are available in the large quantities you need so that all your table settings match and you can achieve the desired look. Some of these products are featured in this picture, giving you some ideas of how you could dress your venue with the minimum of fuss but with the ultimate finish, with the prices shown being for a standard 1-3 day hire plus VAT from us. To hire these luxury table settings and much more such as chair hire, furniture hire, commercial catering equipment hire and other event equipment hire for your upcoming event or occasion, browse and hire online today on the secure Event Hire website, or call a member of our expert sales team on 0800 533 5429, one of whom will be delighted to discuss your requirements in more detail.